First time on the market is this newly refreshed family home with the same owner for 54 years. Pleasant street appeal with new front fencing, north facing front verandah, Allowah Street reserve opposite and public transport at the door. 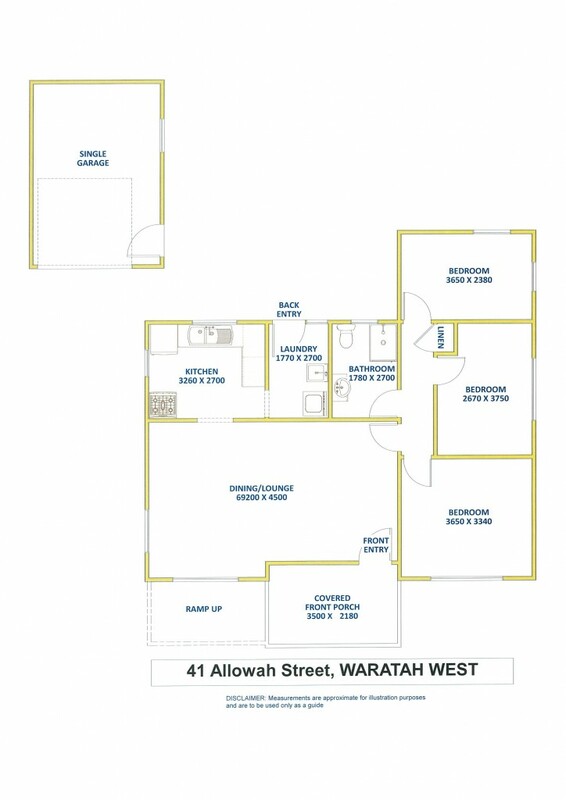 This is a three bedroom clad home with a tile roof, lounge, dining, new kitchen and bathroom. All three bedrooms are a good size with ceiling fans and floor boards. There is a large open plan lounge/dining room with floorboards throughout which enjoys the north aspect with views over the reserve. The kitchen has recently been replaced with ample cupboard space, generous bench space and full size pantry plus modern appliances. Bathroom facilities are new and central to the bedrooms with a full size shower, new vanity and modern tiling. This excellent family home is within walking distance to Newcastle University, there is dual access potential to the fully fenced yard with driveway to a lockup garage and workshop on one side and three metre access on the other.